Many homes have steps, and each set of stairs is designed a bit differently, no matter if they’re made of wood, composite, or concrete. 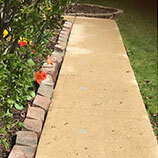 Many older homes have concrete steps leading to the front door, and many of these steps were poured at the same time as the front sidewalk. 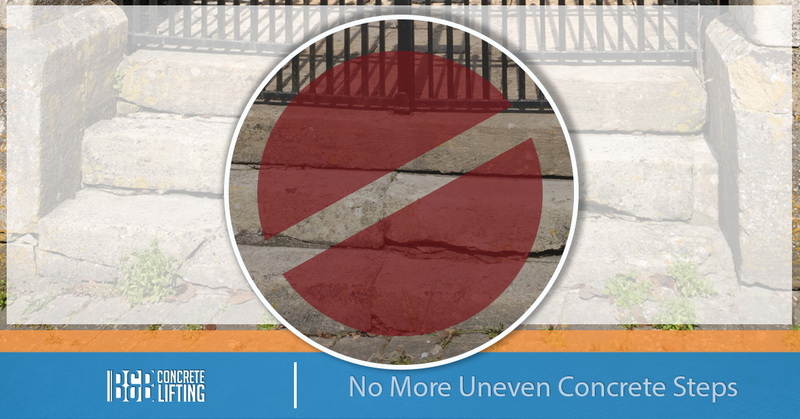 Over time, years of use have worn away at the concrete, and there may be parts of the steps that are broken or uneven. This can create a serious tripping hazard, and if someone steps in the wrong spot, they could turn an ankle or trip and fall onto the porch or stoop. 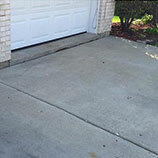 At B&B Concrete Lifting in Chicago, we can repair your front steps or stoop, eliminating any uneven spots and patching any cracks. Over time, concrete will settle and move, even if it’s only slightly. If you’ve noticed cracks in your concrete steps, this is most likely due to one side of the stoop settling more than the other. 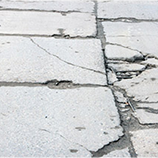 It’s important to repair these cracks before they become more serious and sections of your steps crumble or fall away. Your front steps are used every single day, and the pressure from someone treading on the same spot day after day can lead to cracks becoming worse. We can raise your stoop to be even with your front entrance, and patch any cracks that have created serious issues. Lifting and patching your concrete steps will also improve the curb appeal of your home, which can make it easier to sell should you wish to put it on the market. A skewed or uneven front stoop can greatly detract from the home’s aesthetic, and potential buyers could be unimpressed by the house from the moment they step out of their car. 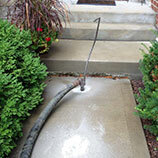 Contact B&B today to discuss your concrete lifting and leveling project!